SOTIO is a biotechnology company developing innovative therapies that harness the immune system and focus primarily on immuno-oncology, effectively translating science into patient benefit. SOTIO is owned by the PPF Group, one of the largest investment groups in Central and Eastern Europe. to Phase III clinical trials verifying the safety and efficacy of its DCVAC products. SOTIO aims to become a mid-sized specialty pharma company that develops and commercializes innovative cancer therapeutics. We are building a diversified pipeline through internal development as well as strategic partnering. Our current licensing focus are innovative oncology therapies in advanced preclinical or clinical stage. Phase II Clinical Trials of DCVAC/PCa - besides Phase III VIABLE study we have initiated five Phase II clinical trials for patients with prostate cancer at various stages of the disease. Recently launched SP015 clinical trial evaluating combination of DCVAC/PCa and ONCOS-102, an immune-priming adenovirus, is currently enrolling patients in the Czech Republic. Phase II Clinical Trials of DCVAC/OvCa - four Phase II clinical trials have been launched to assess the effect of addition of DCVAC platform (DCVAC/OvCa) to standard of care chemotherapy in patients with ovarian cancer at various stages of the disease. SOV01 and SOV06 clinical trials are currently enrolling patients with epithelial ovarian cancer. Phase I/II Clinical Trial DCVAC/LuCa - SLU01 study was launched to assess the use of DCVAC platform (DCVAC/LuCa) combined with standard treatments in patients with advanced lung cancer. This clinical trial recruited patients at medical centers in the Czech Republic and Slovakia and is currently in the phase of final evaluation. 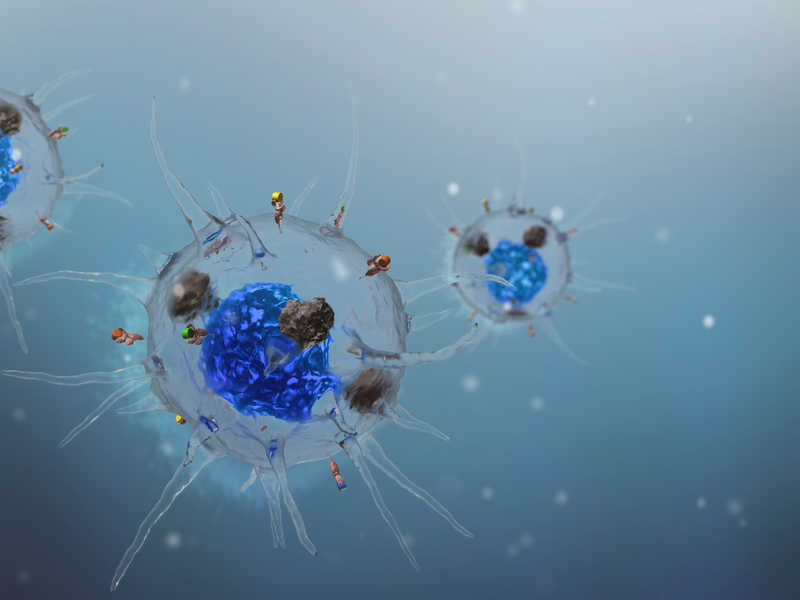 Learn more about Active Cellular Immunotherapy focusing on the treatment of cancer diseases.